M.anifest’s song “Coming to America” tells us a lot about the African Diaspora. The song mentions many things that Africans struggle with and it also mentions some of the things that African immigrants in America face. 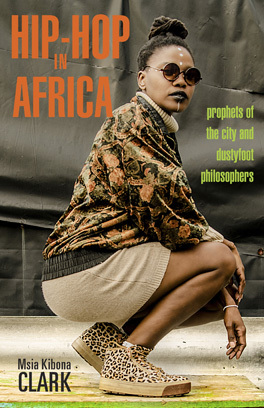 The reading “Payback is a Motherland” says that many African immigrants see hip hop as a way to connect with their home countries. In this class we have studied many African artists who are now in America and use their music to connect with home. M.anifest mentions things about the immigrant experience like missing home and family, trying to find a good job, and sending money home to support his family. He also mentions having to do things like constantly put money on phone cards so he can call home. He also mentioned the pressure from family and parents to get a degree and be successful. From other songs , we learned that the immigrant experience can be lonely and depressing at times. In “Payback is a Motherland”, M.anifest states that he did not know that there was a such thing as African rap at first. Once he discovered this, he began to incorporate his mother tongue into his music more often. This connected him to his home country and it also makes his music more relatable and likable amongst Ghanaians. His song makes many immigrants able to relate to him because it tells a true story and gives a realistic perspective of what immigrants go through. Many immigrants have a hard time adjusting to a new country and a new culture but songs like “Coming to America” let them know that they are not alone and that their experience is shared by others. The songs is very enlightening and inspiring. It makes people more aware of what people who are not native to a country go through and also how hard they work to get what they have.